Wouldn’t it be easier if all five working days you didn’t have to don all the stuffier items in your wardrobe? 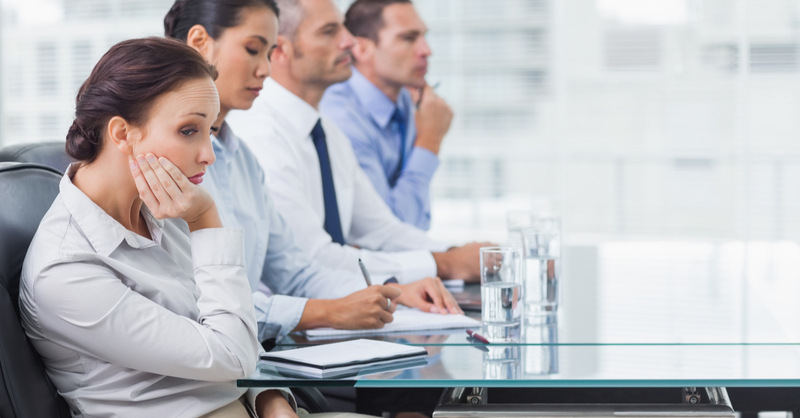 Here's why your workplace needs a dress down Friday policy and how to implement one. Imagine it’s a swelteringly hot day in mid-July, you’re sardined in public transport in a suit on your way to work and you can feel perspiration slowly trickling down the inside of your shirt. You’re not even at the office yet and you already feel beat. Why, oh why, you ask yourself, did I not come in the gym clothes I left out last night and change when I got to work? Now, wouldn’t it be easier if all five working days you didn’t have to either utilise out-of-this-world organisational skills by preparing a second outfit, or subject yourself to the suffering of the nine to five transport work hustle wearing one of the stuffiest items in your wardrobe? Wouldn’t life be better if you had to make that decision only four out of five days a week? How, you may speculate. Well, I’m glad you asked. Allow me to introduce you to dress down Friday, otherwise known as casual Friday. What is dress down Friday? Dress down Friday is a policy that allows employees to wear more casual attire on the last day of the week. What this entails varies by company but ranges from jeans and sneakers to khakis or dress pants and skirts. This is typically implemented at companies that require formal womenswear and suits, dress shirts and ties. This is seen by many employers as an easy perk to offer staff. 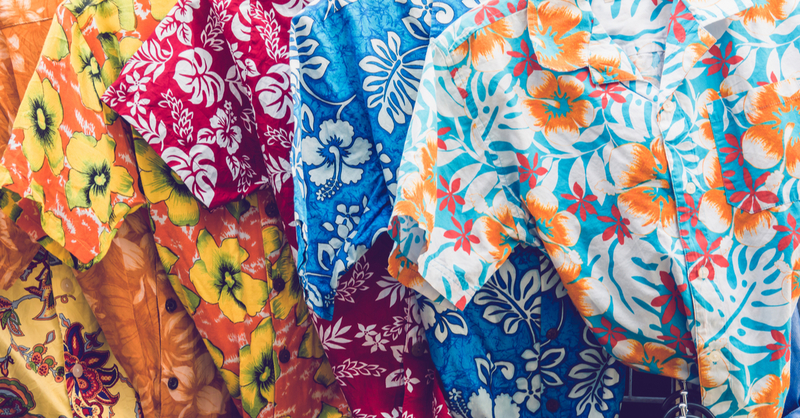 The concept of having a casual Friday at the office has its roots in Hawaiian culture. In the 1940s, the Hawaiian Chamber of Commerce started petitioning for employees’ ability to wear to wear casual wear, as opposed to traditional business attire which was ill-suited to the hot climate. In the summer months in Honolulu, workers began to don more casual shirts. However, aloha or Hawaiian shirts were still only allowed during Aloha festival each autumn. But in the ‘60s the then president of the Bank of Hawaii, Wilson Cannon Jr., really pushed forward an aloha shirt trend by frequently wearing them to the office. The Hawaiian Fashion Guild started endorsing that fashion as a norm in the workforce, under the premise that casual Hawaiian shirts were more weather-appropriate, and the garment sector would benefit. The Guild proceeded to send Aloha shirts to each member of the House of Representatives and senate and lobbied the government to allow this to be a national norm every Friday. And from there, Aloha Friday was born. With this new freedom, women tended to opt towards wearing casual muumuu (flowered) dresses rather than Aloha shirts. Californians took notice this trend, and as technology was rapidly growing in the late ‘90s and early 2000s, and casual garments were cheap because of outsourcing, Silicon Valley types were spreading an anti-corporate trend across more of America. Thus, the dress down Friday concept developed and began to spread across other parts of the world, including the UK. Although employees have undoubtedly swayed from the original essence of Aloha. This means that it doesn’t cost the company a dime, while most other benefits do – like healthcare, food or staff trips. Some studies show that offering staff room for individual expression, down to the way they dress, can increase positivity and motivation to work hard and achieve greater results. As Hawaiians realised long ago, certain working wear is simply not the most comfortable and whether appropriate option – especially in the Summer. Dress down Friday offers some respite from formal work wear, which in turn can boost productivity as people are less focus on how uncomfortable they might feel. Self-proclaimed ‘knee activist’ Chris Vogtherr also promoted this idea in a Ted Talk on allowing shorts at work. “I want to evolve the male corporate wardrobe and therefore I’ll be wearing these clothes [shorts] in the office next summer,' he remarked. 'And with that bombshell, I’m starting my campaign called Free the Knee. This is an attempt to avoid becoming what he dubs “a sweaty human inferno.” Chris might be catching onto something here. The Deloitte Millennial Survey found that 66% of millennials expect to leave their current companies by 2020. Their findings show that organisations risk losing a great number of young talent if they don’t improve work place culture and retention methods. One effective solution to this problem is introducing company perks. A recent LinkedIn study of over 13,000 millennials revealed that 'perks and benefits' are the second most important thing to young people after 'culture and values', when choosing who to work for. 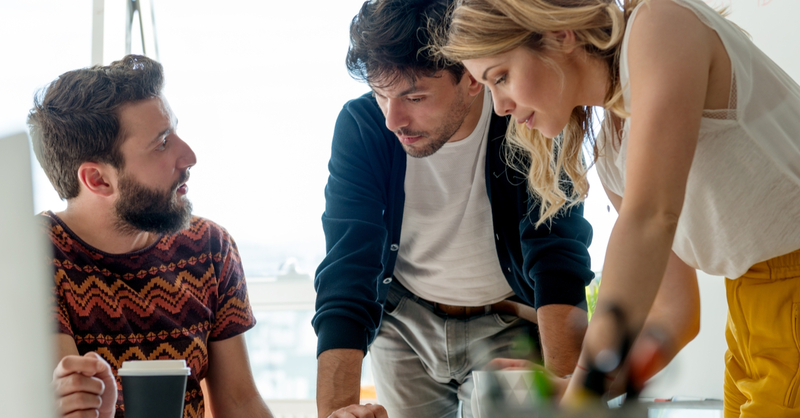 The same study showed that 64% of millennials consider company perks and benefits very important, compared to 54% of Gen Xs and 51% of Baby Boomers. This is a reward that can be easily implemented on an ongoing basis (weekly). It’s proven that staff feel more motivated to work hard and efficiently when they feel appreciated and cared for. 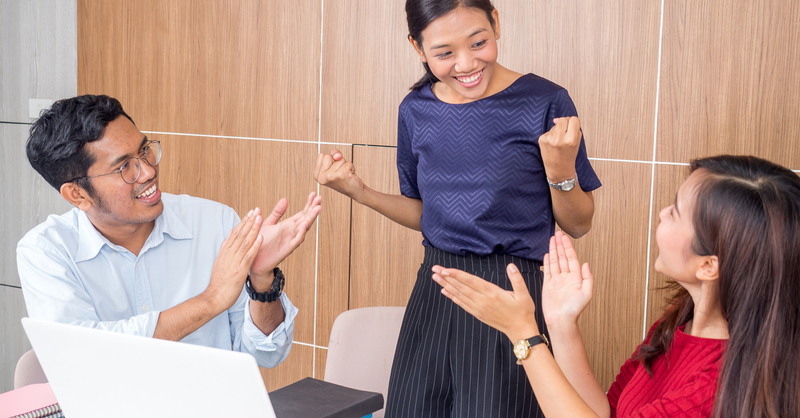 This sense of a reward is amplified when employees work towards enjoying something as a team. And while formal wear may increase competitiveness, the freedom that comes with wearing more casual clothing can create a more collaborative environment. Companies that hire people cross generationally must deal with contrasting concepts of appropriate casual work wear. Gen Xers and baby boomers may see this as an opportunity to wear a more casual suit, whereas millennials may be inclined toward jeans, shorts or shorter skirts. Some individuals feel more comfortable in formal wear, even on designated casual days. This has potential to result in an awkward environment if some guidelines are not offered. Having someone going around the office asking who ruined casual Friday doesn’t foster trust and openness. Despite many studies pointing to boosted morale and productivity among employees when dress down Fridays are introduced, other studies suggest that when employees dress more casually, they sometimes adopt a less vigorous and unprofessional work approach. Client-facing businesses might express concerns over allowing all staff to participate in dress down Friday, in case clients see casual wear as a reflection of unprofessionalism. Results from a 2013 study by Furnham, Chan and Wilson in the Journal of Applied Social Psychology called 'What to wear? The influence of attire on the perceived professionalism of dentists and lawyers' showed a strong preference among clients for lawyers and dentists in professional and formal clothing. Clients believed those dressed formally, rather than in smart or casual attire, were friendlier and more capable at their jobs. The study also pointed to formal dress positively influencing trust and fostering an environment where people felt okay revealing information to lawyer or dentist. The significance of this undoubtedly ranges by industry and sector, potentially applying less so in the tech industry or advertising, for example, but it’s an important risk to consider before offering this perk. This kind of policy might not work everywhere, but it is beneficial at many companies. Before implementing it, it’s vital to consider if it would be appropriate and the frequency at which you’ll be able to do it. Look through the upcoming year’s calendar beforehand. If it’s going to be too difficult to offer weekly, see if you can offer it every other Friday, one Friday of the month or at designated times throughout the year. Also, speak to your employees. Ask for opinions on whether they would be interested in participating in this. Dress down Friday should allow people a day to be more expressive and comfortable, but that doesn’t mean it should be a free-for-all. Let your employees know what’s expected of them and lay out a general dress down Friday dress code to follow – for example whether smart jeans are allowed. You could work this intro a manual and cover expectations during employee training. This is especially important for client facing roles, to avoid any awkwardness or a sense of unprofessionalism. Decide early on whether when an employee has a client meeting they are going to be able to take part in casual Friday or not. If they are, make guidelines clear on what kind of code they will still be expected to follow. For the first couple months from the kickoff of this policy, consider sending around a fun and informative dress down Friday email, either a day or two days before. This will remind employees that they can come in to work more casually dressed and might also offer an opportunity to remind staff of any guidelines. This is probably only necessary while people are still getting into the swing of things. With all the cards laid on the table, its now up to you as an employer (or up to your employer if you’re an employee) whether this is something that could work for you and other staff. It may be helpful speaking to people at companies that have already implemented dress down Friday, to see if it’s been effective. Clarity is key here. There’s not much to lose if done right and if any possible hiccups are considered and mitigated beforehand. If, as research shows, perks really are the way forward and a new expectation among millennial workers, then dress down Friday could be an easy and cost-effective solution.